As we move into December with the holidays quickly approaching, your freelance work can slow down because many businesses go into vacation mode. If your workload is lighter than usual, we have a few tips for picking up new year-end business or revving up your freelance business in 2016. 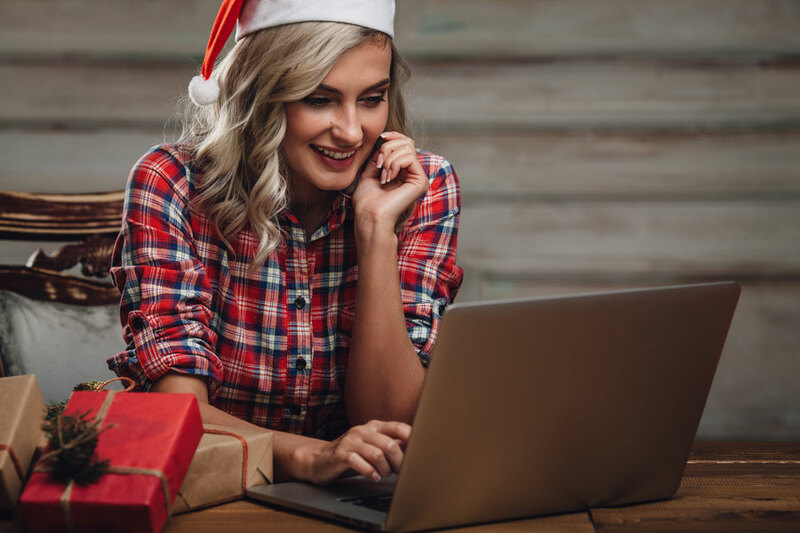 Before and during the holidays, many B2C companies and some B2B companies are running online holiday promotions to increase revenue before the year ends. Whether you’re an IT professional, writer or in design/multimedia, you’ll find that many of your clients need extra help during this time to get their promotions online. Assuming you have a clientele list, contact existing and past clients and prospects to inquire whether they are in need of support during the holiday season. The holiday season is a great time to cold call potential clients to which you can offer services. Making personal phone calls and creating individual email messages that address pain points that these potential clients might have is a good way to get your foot in the door. If they aren’t in need of your services during the month of December, they’ll likely be interested when the new year begins and their 2016 budgets are approved. If you’re finding that your workload is a little light during the holiday season, take advantage of this time to improve your website. When you’re a freelancer and you generate clients from your website, you need to ensure it is optimized for search and conversions and that it also presents a favorable first impression. The holiday season is a perfect time to thank your freelance clients for their business during the year. Take a look at the clients in your Contacts App or database and create custom greeting cards that thank them for their support during the year. During the holiday season, many of us are bombarded with email promotions and we tend to tune them out. A snail mail greeting card can make you stand out in a crowd. Consider including your brand, logo and contact information (in a tasteful way) on your greeting card to help your clients and prospects keep you on top of mind. Moreover, ensure that you write a personal message on each card. Cards Direct, TinyPrints and VistaPrint provide customizable greeting cards that you can utilize for this purpose. Social media is a fantastic way to help freelancers drum up new business. If you’re already using social media such as Facebook, LinkedIn, Instagram and Twitter, you know that it takes a significant amount of time to post new content each day. The slower holiday season is a perfect time to focus on your social media posts and interactions to highlight your best work, present yourself as a knowledgeable expert and to reconnect with clients and build prospects. For example, if you’re a writer, highlight any articles or web copy that you created during the year on your social media channels. If you’re looking for holiday work, emphasize your holiday promotional materials. In addition, if you’re a graphic designer, social media is a great avenue for showing off your best visual content, especially if it’s holiday themed. Of course, it’s important to ensure any sharing is cleared with your clients. If you’re in a creative field and you haven’t already done so, utilize this time to update, showcase and highlight your work with an online portfolio. Many companies use these sites to recruit their freelance and contract resources. Moreover, if you already have an online portfolio, the holiday season is a great time to update it with your best and latest work. Coroflot: Launched in 1997, Coroflot hosts over 2 million images and over 150,000 new projects are published each month. Dribbble: Launched in 2009, Dribbble is described as a “show and tell” for designers. Illustrators, graphic designers and other creative professionals share small screenshots that show their work. Behance Network: Launched in 2006, Behance is a growing business unit of Adobe based in New York City. It allows you to create a portfolio that’s connected so you can update work in one place and easily broadcast it. CarbonMade: Launched in 2005, CarbonMade showcases more than 950,000 portfolios for illustrators, copywriters, fashion designers, stylists and others. When you’re a freelancer, it’s very important to network with friends, family, colleagues and other connections especially if you’re a social person – not just to gain clients, but for your happiness and well-being. The holiday season is an ideal time to reconnect with those you know over lunch, happy hours, parties or other social outlets. Keep in mind that referrals are super important for growing your freelance business. Utilize the holiday season to reconnect with past clients, ex-coworkers and friends. Explain to people in your network what you do, how you help businesses succeed or about the products that you sell. If you have some downtime during the holiday season, consider obtaining recommendations or testimonials from current or past clients and posting them on your website, social media accounts and online portfolio. Testimonials are equally as important as having an exceptional portfolio. Many freelancers obtain new clients from the endorsements of their current or past clients. This is why testimonials are of upmost importance when building a successful freelancing career. An easy way to obtain recommendations is to utilize the LinkedIn “Request a Recommendation” tool. Alternatively, you can email clients or contact them via social media to request testimonials. There are also software solutions to help. Capture video testimonials with Bravo or use a product such as Boast to collect, organize and manage testimonials. As a freelancer, what will you be doing to increase your success during the holiday season? Please comment and let us know. Solopreneurs, entrepreneurs and founders of early stage startups and businesses are frequently overwhelmed by the amount of work that needs to get done. Being overwhelmed is a state of mind that is not always firmly planted in reality. It’s a direct result of the choices and actions that we take. There are several strategies for managing choices and actions that can ease these feelings of overwhelm. 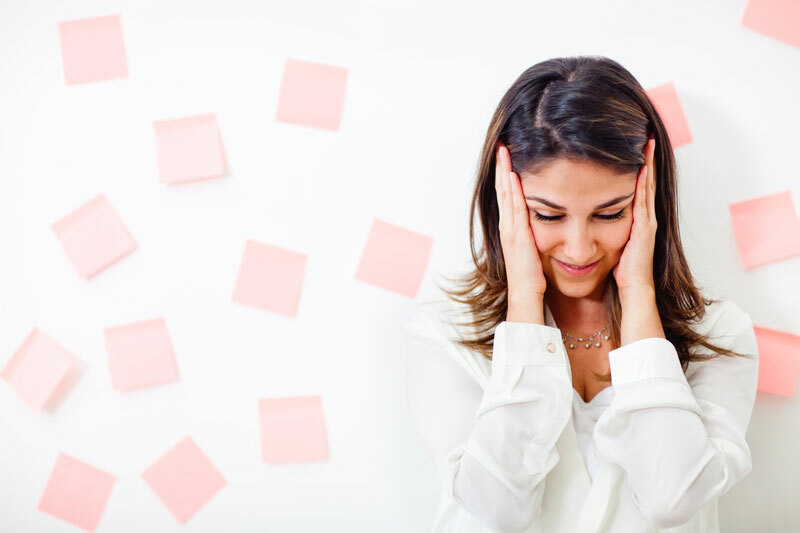 If you’re one of the many who are overwhelmed, keep reading to learn about strategies to help you alleviate overwhelm, your workload, worry and stress. Many solopreneurs and entrepreneurs are “idea people” and right-brain thinkers. They have an endless supply of innovative ideas for product, customer acquisition, and brand awareness; but they forget one of the most important strategies, which is to get these ideas into a system. They successfully build a business plan and a prototype – and perhaps they’ve sought and obtained investment from angel investors, but many fall short on implementation because they fail to develop a comprehensive action plan. They have too many ideas in their brains, but not in a well-structured plan, which leads to overwhelm over the number of things they need to do to get things done. When you start your business, simplicity is key. It’s important to make a plan of action, but focus on the execution. Understand your long-term goals, and build an action plan for the first 30, 60 and 90 days based on those goals. Your plan should include the tasks, costs and schedules required to achieve the objectives of the business plan. Our advice is to use a mobile solution such as LifeTopix to record your goals, projects and tasks – and to store supporting information about those projects and tasks. Solopreneurs and entrepreneurs make a variety of decisions every day and this can be overwhelming. Some take longer than others to make decisions – listing the pros and cons of their options; examining the data; and weighing their options. Decision-making takes time and energy, and when you’re starting a new business, you don’t have historical data to do a complete cost/benefit analysis. Let go of overwhelm by trusting yourself. Your perseverance, intelligence and ingenuity got you started – now trust it to help you make the best decisions for your company. Take a test and learn approach. Trust your gut and instincts to help you make decisions, and stick with them until the data tells you otherwise. Many solopreneurs and entrepreneurs suffer from fear of failure. It’s a natural feeling and no matter who you are, you’ve felt it in your life. Often times, fear of failure can cause anxiety and hold back progress. In fact, according to the article Fear of Failure by Timothy A. Pychyl, studies show that higher fear of failure leads to procrastination. As a result of your fears, procrastination leads to overwhelm because as you let things go, too many items pile up on your plate. There are several strategies to overcome fear of failure, but first and foremost, you must have confidence that you’re doing the right things, have the right skills to do them, and know what it takes to achieve your goals. Entrepreneurship requires strong energy and focus. Giving into distractions and shiny objects destroys focus and promotes overwhelm. Just like most things in life, developing good life habits that stimulate your energy level supports focus. There are several ways to improve focus; however, some simple changes are to consume brain foods, exercise and learn to meditate. The best brain foods contain omega-3 fats, and flavonoids and nonflavonoids (anti-oxidant compounds). Berries, salmon, avocados, walnuts, olive oil, spinach, dark chocolate and garlic are good choices. Limit partially hydrogenated oils, refined sugar, fructose, carbohydrates, gluten and processed foods. Exercise is proven to improve focus, energy and attitude. The proper amount of exercise is debatable; however, guidelines from health organizations recommend at least 150 minutes of moderate exercise per week. These days, even western doctors recommend meditation to reduce stress, to improve focus and to promote better sleep habits. You can learn more about the benefits of meditation from the Mayo Clinic. Much of success develops from having the support of your family, friends and others. If you don’t have this support, overwhelm can consume you. Before you start your business, ensure you build clear expectations with your partner, spouse, family members or others. Your time is precious and you will be pulled in many different directions. Many of the day-to-day things that you accomplish in your personal life fall by the wayside when your business becomes your priority. Consider outsourcing activities such as house cleaning, lawn mowing and personal errands. Make meals easy by using pre-portioned, ready to cook meal delivery services such as Blue Apron or Plated. Support can also come from fellow solopreneurs and entrepreneurs. Knowing that others are going through the same journey is both encouraging and invigorating – and it can reduce your feelings of overwhelm. You can find and get to know other entrepreneurs through Meetups, LinkedIn groups, Facebook groups, and other networking groups. Attend meetings, find a mentor and pick the brains of others to find effective strategies for your endeavor. Many solopreneurs tend to jump in immediately with heavyweight cloud-based tech tools to run their businesses. Setting up this infrastructure can lead to overwhelm, especially when you’re flying solo. It’s typically not necessary to invest in heavyweight marketing, customer support, human resources, operations and sales/CRM systems. Focus first on customer acquisition, then implement these tools as your business grows. You’ll know when it’s the right time. Too many people spend too much time trying to perfect something before they actually do it. Instead of waiting for perfection, run with what you’ve got, and fix it along the way. When you’re already spread thin, having a tendency to set high standards can lead to overwhelm and put a stop to progress. Making mistakes and minor imperfections will happen. Don’t agonize over details and become overly cautious. Understand, as a solopreneur or entrepreneur that “perfect is the enemy of good.” Your desire for perfection can result in being your biggest impediment. At times, entrepreneurs can get too deep in the details, that they don’t see the big picture. Being hyper-focused on the details can overwhelm you and impede progress. For example, checking the language of an email campaign for the umpteenth time to decide which adjective works best is a waste of time. In the scope of things, it’s important to let go of these types of meaningless details and, instead, move quickly. If you’ve clearly defined your plan and it appears that realistically, there is simply too much work, you might consider finding a cofounder. As a solopreneur, this might be one of the biggest decisions that you make in your business. A co-founder is much like your life partner – they’ll be with you for the long haul so ensure their personality, energy, passion, skills and expertise complement those that you have. As a solopreneur or entrepreneur, how do you avoid overwhelm and achieve success? Please share your stories and thoughts in the comments below. Whether you’re a full-time entrepreneur or you’re starting a new business on the side, you typically find yourself filling multiple roles and juggling a variety of tasks. On Monday, you’re the CFO; on Tuesday, you’re the CMO; and on Wednesday, you’re the VP of Engineering. Does this sound familiar? In spite of the many research studies that indicate multitasking worsens most people’s ability to get things done, you still find that it’s a necessity in your busy line of work. Have you heard the term “Supertaskers?” According to research published by Jason M. Watson and David L. Strayer from the University of Utah, only 2.5% of the population are effective multitaskers. Performance of tasks performed simultaneously is degraded for the majority of people. I know many of the entrepreneurs who are reading this are thinking – yep, I’m a supertasker! If you think so, here’s a test from David Strayer that enables you to confirm your theory. Multitasking is inevitable at times, so how do you survive in our multithreaded world? 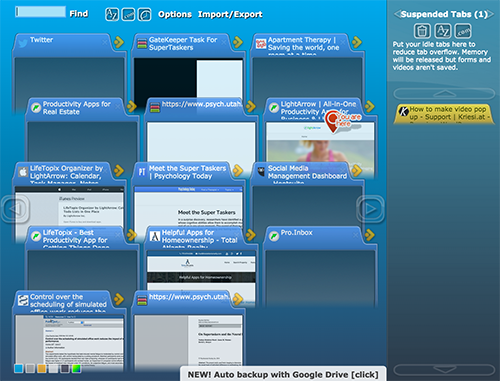 For the majority of the population, we recommend you become a “Super Task Manager,” rather than a multi-tasker. This doesn’t require genius-level, supertasker brainpower, just a bit of discipline. Do you want to become a “Super Task Manager?” Follow the tips and tricks we’ve outlined for you today and you’ll be on the road to success. I don’t care if you won last week’s Jeopardy match; I still believe when it comes to remembering things to do, your memory is terrible. Not to mention, when you keep your to-dos in your brain, it creates stress and doesn’t leave room for creative thoughts. Every day, when you start your workday, record all your tasks into a to-do list; this is your brain dump. Consider this the birth of your important assessment of daily tasks. This begins the process of deciding what’s most important for moving your business to the next level. Your business has goals – whether you want to increase profits, grow sales, widen awareness or increase customer satisfaction. Decide which of your tasks will move the needle toward those goals. 80% of what’s on your list is probably busywork and 20% of those tasks are needle-movers. Think about your long-term goals and outcomes and get these needle-moving tasks to the top of your priority list. When you schedule everything you need to do, you know exactly how many tasks, meetings, etc. you can fit into your daily schedule. In fact, research says that mental fatigue is reduced by better control of work scheduling. When I say schedule everything – I mean EVERYTHING – not just events. Include your to-dos in your schedule; add meetings to your calendar; add lunch to your schedule; even add social media time to your calendar. Do you want to watch “Dancing with the Stars” or “Monday Night Football?” Then schedule it, as well. What’s the best way to schedule everything? The LifeTopix app is a great app for recording and scheduling a variety of different types of things, while on the go. Many LifeTopix customers are busy freelancers, entrepreneurs, solopreneurs and real estate professionals. Entrepreneurs typically like to take control of everything in their business, but sometimes they need to let go. Now that you’ve assessed and prioritized your tasks, you have a fantastic idea of what can be delegated. Cloning yourself is not realistic, so if you have a team of employees, take the time to train them to complete tasks that are not highly strategic to your business or hire people who are up to the task. If you’re a solopreneur, outsource business tasks or items in your personal life to make more time for your business. The problem with distractions and interruptions is you lose your momentum. Some small business owners and entrepreneurs manage distractions by blocking out their time to focus. However, distractions indicate your business is healthy and thriving because you’re supporting various employees, prospects and customers. Being accessible to answer questions and provide support keeps the business moving along at a healthy pace. One simple hack to effectively manage these distractions is to record your thoughts (whether through audio or writing) at exactly the point when you left off each time you’re interrupted. This way, you’re not taxing your brain by trying to remember where you left off; and then you can easily switch back to the task at hand. Using the Internet for research and everyday tasks is a necessity for freelancers, business owners, solopreneurs and entrepreneurs. But many don’t realize there are helpful tools, such as browser extensions and add-ons, to manage open pages and prevent online distractions. Entrepreneurs typically have numerous tabs open on their browser. “Too Many Tabs” on Chrome and Firefox is a helpful extension/add-on that arranges your tabs in an easy-to-read format and also allows you to suspend tabs to release memory, which improves browser performance. Another helpful tool to manage online distractions from advertisers is AdBlock, which allows you to surf the web without seeing the ads. And now, with iOS 9, developers have provided a variety of ad blocking apps to work with Safari on your iPhone or iPad, which are available at the Apple App Store. One of the great advantages of modern computing is the ability to run processes in the background. You can run reports, compile code, run virus checkers, and more while you do other important work. By now, you understand what can run in the background and what cannot. Like computers, we, as humans, can also run processes in the background. We quickly understand what type of tasks we can do simultaneously and when we must focus on a more complex single task. Smart multitaskers make use of waiting time, such as doctor’s appointments, public transportation rides, long lines and while commuting (safe tasks only, such as Podcasts!). They also know which types of tasks can run in the background while they’re completing important projects, such as running a sales report while making cold calls. Everybody needs leisure time, and sometimes this time can be used strategically. When you’re playing golf, running, hiking, biking or knitting, take this time to think deeply about your business. For example, imagine you’ve been invited to the opera, but you secretly have a distaste for opera music. You can use this time to think intensely about your business. Sometimes, stepping away and putting yourself deep into thought is a great way to find a new perspective, set goals and to unleash your creativity. Have you ever noticed that your willpower is stronger during particular times of the day? Typically, your willpower is strongest in the morning, and you really propel forward when deadlines are quickly approaching. Take advantage of those times to get things done. Moreover, much of willpower is simply about forming desired habits. According to research from the European Journal of Social Psychology, it takes approximately 66 days to develop a new habit – and then it becomes automatic. For example, if you have a habit of watching YouTube videos first thing in the morning as a form of procrastination; instead, focus on making a to-do list for at least 66 days in a row. Once this habit is solidified, you’ll never think about those silly cat videos again. Being a “Super Task Manager” requires that you make the most of meetings. How often have you attended a meeting where participants are secretly responding to email, tweeting or completing work? They’re attempting to effectively multitask, but ultimately they’re performing two tasks at the same time very badly. This is a sign that the wrong participants are in attendance or the meeting is unnecessary. Providing a good agenda is the best way to conduct useful meetings. Currently, a popular agenda format called TTOG is being used to improve the state of meetings. TTOG stands for Topic, Time, Owner and Goal. Essentially, it ensures that the subject, time spent, task owners and goals are clear to the participants. Once these guidelines are established, you and the team can move onto your important tasks. With these simple hacks, I believe you’re on your way to being the “Super Task Manager” you wish to be. Good luck, and please share your multitasking and time management tips and thoughts. Independent media and marketing professionals, such as video producers, website developers, activists, journalists, graphic designers, editors, copywriters and others who manage small media businesses face specific challenges. Managing a client base, expenses, payments and projects are just a few of the many details that independent media professionals manage daily. Typically, independent media professionals are right-brain dominant, meaning they excel in creative disciplines; but can be less analytical and organized. Generally, left-brained individuals run businesses while right-brained individuals focus on creative endeavors. When right-brained types are presented with thoughts about time management, the classic response is negative. Organization and time management feels claustrophobic, neat and controlled. Essentially, it’s tedious to them. However, anyone with an entrepreneurial spirit must focus on the logistics of running a small business because it greatly affects the bottom line. The business details can’t be ignored or failure is inevitable. The good news is I truly believe it is easier to train a right-brained type to better organize time and details than it is to teach a left-brained type to be more imaginative and innovative. Today’s post focuses on some of the details that independent media and marketing professionals should manage and track. It also includes tips about the apps and applications that can be used for tracking and managing these details. Sometimes right-brained types have trouble keeping track of commitments, such as appointments and other events. Essentially, they can have a tendency to get engrossed in project work and forget about an important appointment with a potential client. When independent media professionals use a smartphone and the right productivity apps, these types of mishaps are less likely to occur. The stock calendar app provided on a smartphone is a great place to start; however, there are more comprehensive apps that can display events from multiple calendars and also provide more bells and whistles. Right-brained types are typically very visual so I would recommend a calendar app that has a variety of calendar views; color coding of events; a daily agenda; reminders and audible and visible notifications. 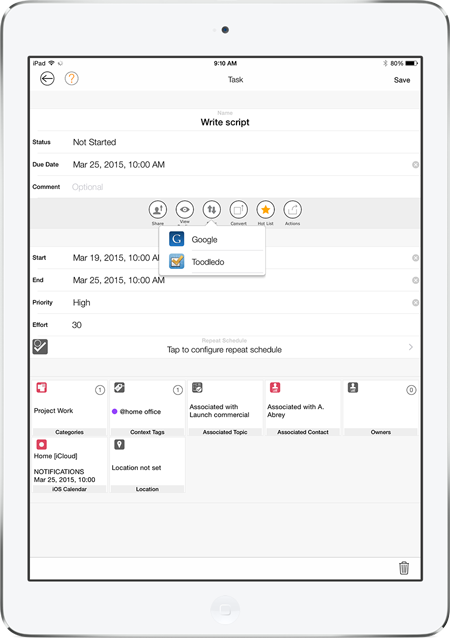 The daily agenda shown here is a great example of how to easily track appointments, events and other details for the current day, the following day and the next seven days — all at a single glance. It also color-codes the types of items on the calendar and if external calendar items are included, it color-codes events from those calendars, as well. A to do list can greatly improve time management and the number of things that get done every day. Keeping tasks and to dos in your head is a great way to suffer from brain overload. Media professionals need to free their brain from the tasks and to dos that are floating around so they can focus on creativity and the project at hand. Re-prioritization – depending on the digital to do list app, re-prioritization is usually as quick and easy as a tap and drag action. Sharing and Collaboration – a digital format makes sharing and collaboration easy. It’s nearly impossible to share a paper list with someone who’s not at the same location when you’re delegating or sharing tasks. Reuse – Paper lists and sticky notes are for one-time use only. Digital lists can be re-used. Search and History – Completed tasks or to dos that are written on paper or whiteboards cannot be searched for history purposes. One they’re erased, they are lost forever. Mobility – Your smartphone is compact, always with you – and ready while on the go. 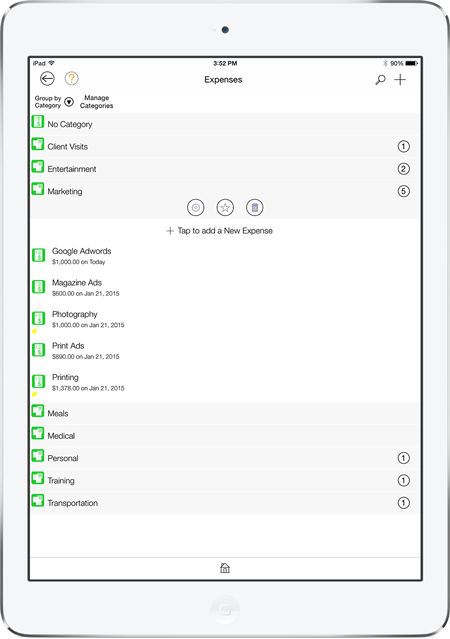 The image here shows an example of a digital to do list that can be easily prioritized, shared, searched and reused. When flying solo or with a small team it’s just as important to manage your projects and tasks, as it would be with a larger traditional team. Sometimes a digital to do list is enough for a project, but for more complex projects or if you’re working with multiple clients, a meatier project management solution might be necessary. It’s important to know what’s required of you from your client and when the tasks are due. You might be a right-brained type, but you can’t always wait for the right time to get things done. Clients demand that projects are delivered on time. Gathering your client’s goals, determining the scope of the project, understanding the budget, knowing the resources that are available to you and defining your strategy are all necessary when project planning. You must also understand how the client defines success of the project. Once all of these items are defined, break the project down into small, manageable chunks – in the form of a series of tasks. It’s not necessary to use heavyweight software. Gantt charts and complicated project management systems might be excessive. Generating a series of tasks with deadlines for a project and the ability to associate supporting information might be all you need. The image here shows a task with supporting information. Customer Relationship Management is an important part of managing a small media or marketing business, but organizing the information about clients can be difficult and cumbersome – not only for right-brained types – for just about anyone. When running a small business, generally you get a feel for when it’s the right time to start implementing customer relationship management software. For example, is managing clients starting to feel out of control? How do you keep track of your top clients? How do you manage information about your clients that’s important to you? How do you track follow-ups with your clients? What state of the sales cycle are your contacts currently in? How do you manage client requirements? All of this and more can be managed through CRM software. In the following image, you can see that the app below tracks the items mentioned. Top clients are tracked through groups; custom information is tracked via custom forms (i.e. Customer Satisfaction); state of the sales cycle is tracked through the status; client information is tracked through notes; and client follow-ups are tracked through the contact log. Many independent media professionals count on 1099s, bank deposits, bank statements and credit card statements to track income and expenses. It’s a good idea to track income and expenses using a spreadsheet or other software apps or applications in addition to these other methods to ensure the accuracy. This way, when you do your taxes it will be easier to understand what your income was and how much you spent to run your business. 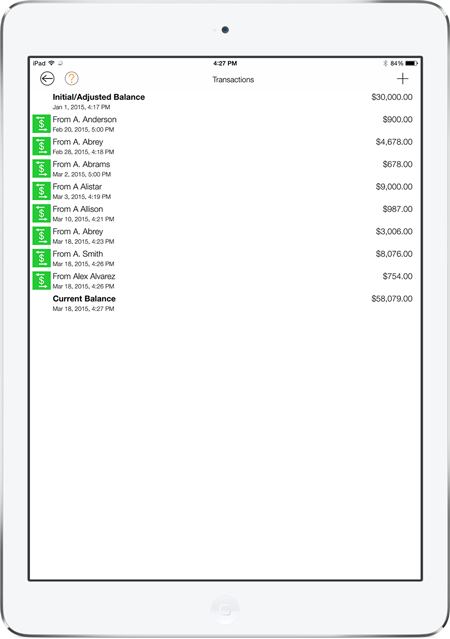 In the app below, expenses are easy to track and they can be divided and organized by category. Also, in the same app, notice that you can keep track of a list of transactions to get a handle from whom your deposits are originating and your total income. This is a great way to double check that your bank deposits are correct. Wouldn’t it be great if I told you that all of the images above were collected from one all-in-one app? 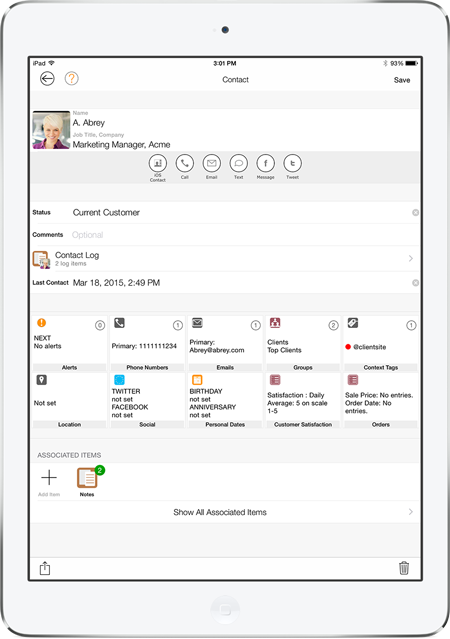 LifeTopix is an all-in-one app that allows you to manage all of these details in one place – and all of the information is naturally connected. In addition, it doesn’t require monthly subscription fees like other apps and applications. You can find it at the Apple App Store.